With the National Pension Service apparently determined to pressure companies with “stingy” dividend policies to change their ways, investors are viewing it as an opportunity to seek out new targets with the potential for high payouts, while businesses are concerned on excessive management intervention. Signs of change were spotted as the NPS began exerting its shareholder rights through the stewardship code over Hanjin KAL on Feb. 1, followed by its demand for Namyang Dairy to increase its dividend payouts to investors a week later. Though Namyang rejected the request Monday, Hyundai Green Food, another firm that has been on the NPS’ “low dividend blacklist” for some time, decided to increase its cash dividend by 162.5 percent to 210 won ($0.19) per common share. The firm is a food service unit of conglomerate Hyundai Department Store Group. Analysts are interpreting this as a sign of more to follow, which could pose a fresh opportunity for investors to re-evaluate and add fresh additions to their investment portfolios. “A change in dividend policies of local firms will work as an opportunity to re-evaluate preferred stocks,” Korea Investment & Securities analyst Yoon Tae-ho said. “With the NPS’ involvement through appliance of stewardship code and efforts to boost shareholder value, there is now a high chance of the preferred shares of the companies to be traded at a narrower discount rate, resulting in higher dividend yields,” he added. Preferred shares in Korea are traded at a 35 percent-70 percent discounted prices compared to their respective common stocks. They also tend to carry a higher dividend yield due to the lack of voting rights for shareholders. However, Korea’s overall average dividend yield rate -- standing at an average of 2.32 percent -- has been considered lower than other key economies and local investors have been requesting to increase the rate of preferred stocks. The country ranked No. 20 among 24 global stock markets last year in terms of dividend yield rate, according to recent data from Daishin Securities. 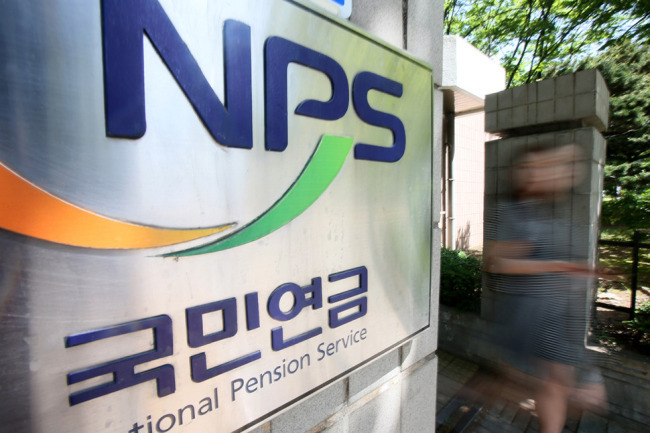 Though brokerage firms and investors are voicing optimism on the NPS’ moves, local businesses have been expressing concerns over excessive intervention by the state pension fund, which holds more than 5 percent stakes in 297 local listed firms, including Samsung Electronics, SK hynix and Hyundai Motor. Namyang’s rejection statement explained that its dividend policy allowed the firm to stay debt-free and that increasing the payout would only benefit the largest shareholders, not regular investors.